Simulates long cats. 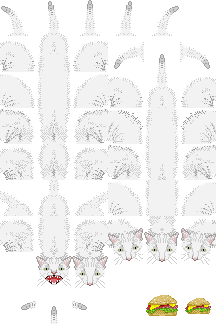 Longcat moves when you press arrow keys in keyboard. Tacgnol moves from wasd -keyset. Number keys contain grow/shrink for both cats and a turbo-mode, which toggles the gamestep. This game requires HTML5 canvas, try it in chrome or something.